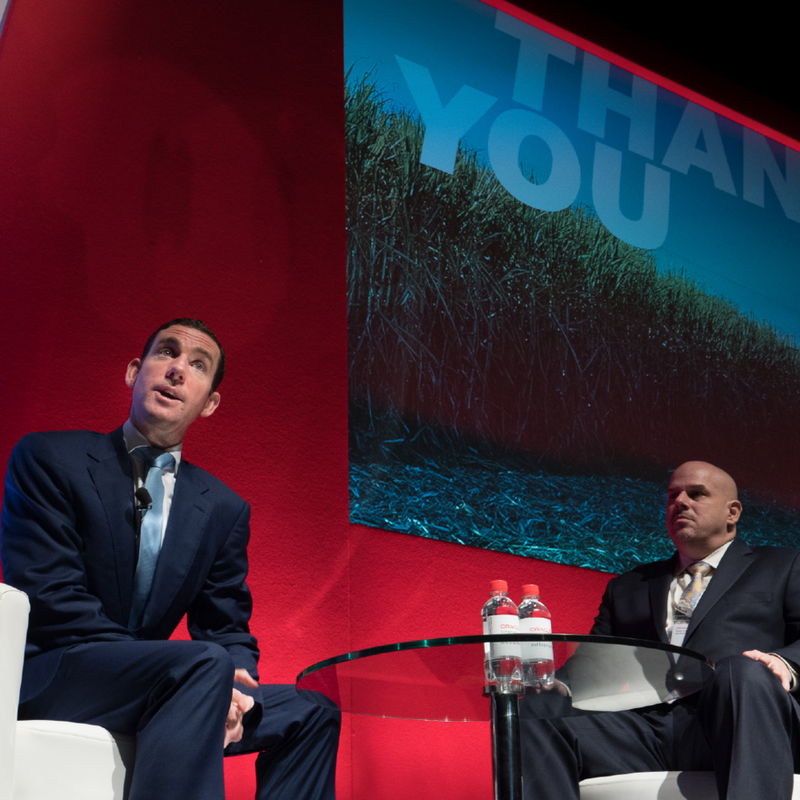 Oracle Construction and Engineering approached In 2 Events, to create a thought leadership event to rival their sister event in the USA. 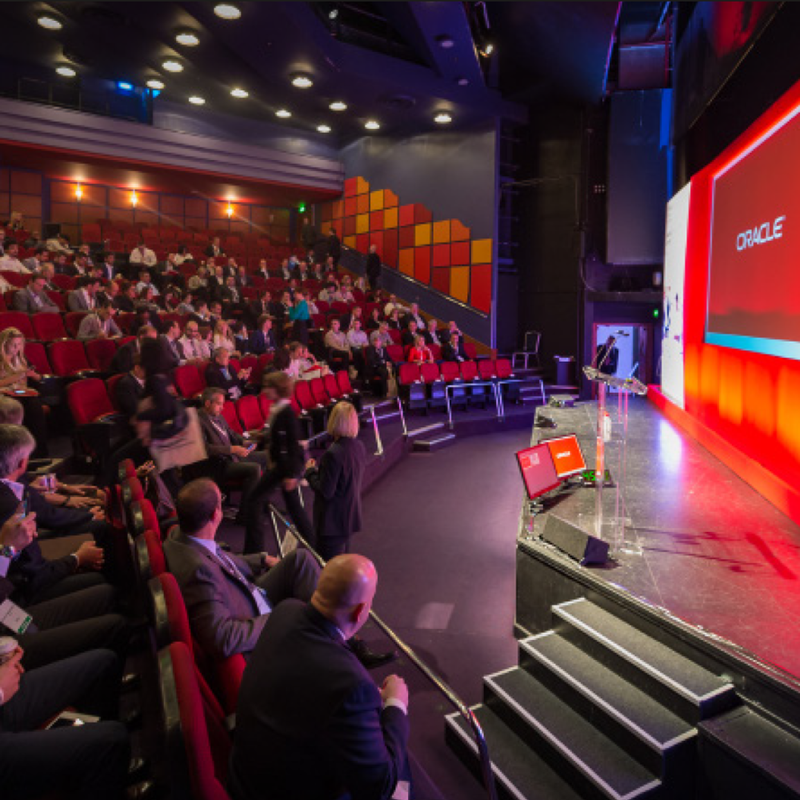 It was to be an event for their EMEA customers to come and hear about the issues within the industry, meet some Oracle partners and learn more about the products that were on offer to them. The initial brief covered all of Europe with emphasis on transport links. After extensive research, we shortlisted venues in London, Berlin and Paris, and following site visits, we decided on the Pullman St Pancras for the main event. Their theatre space on offer was exactly the sort of space we were after. It had seating for 400 people which was our target audience and a great networking area to sell space to sponsors. The location also worked perfectly for international travels and local people alike. We held the evening dinner reception next door at the Renaissance St Pancras. 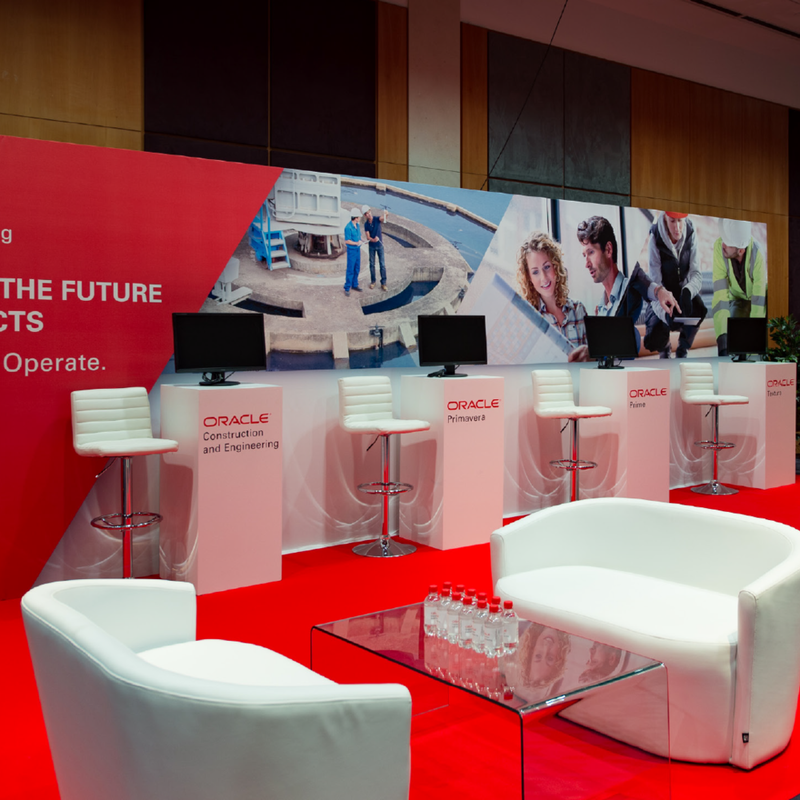 For the event we looked after all the branding for the hotel, the build and design of the flagship Oracle stand and the contract management, liaison and stands for all of the 14 sponsors. 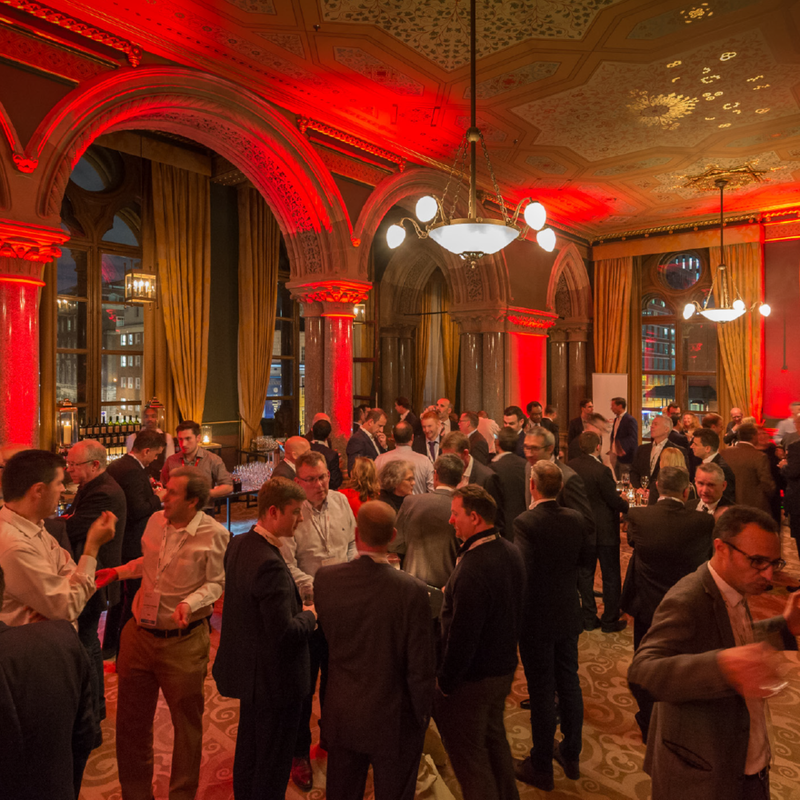 The event itself was a great success with a higher than anticipated attendance and great interaction for all of the sponsors with their feedback generally being that they had very important and relevant conversations with the attendees. We had a scanner system for registration and for sponsors so they could track who had been to their stands and for Oracle to see who attended what sessions, great information for us to build on next year. We had the senior team from Oracle Construction and Engineering fly over for the event from the US and the feedback has been so positive that we are already planning for next year.